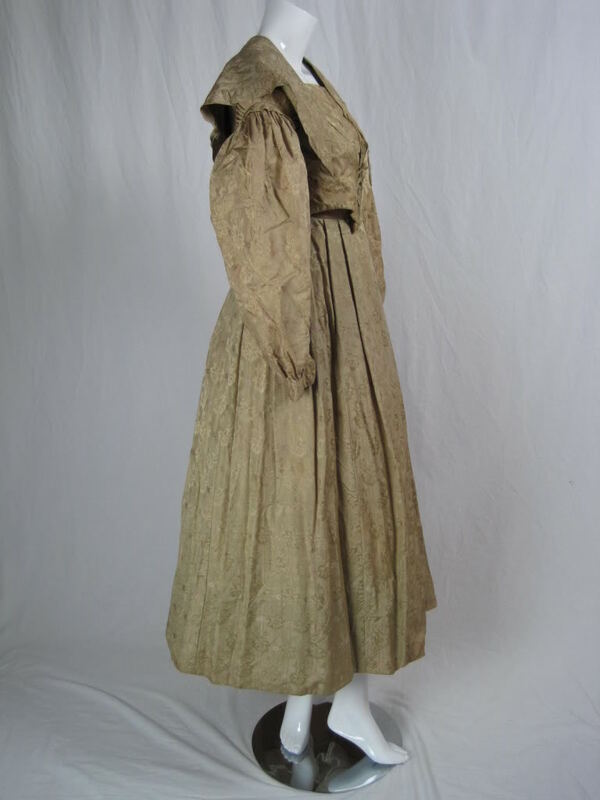 Three-piece ensemble circa 1840's that is entirely stitched by hand. Golden tan silk jacquard with floral and geometric weave. Bodice is lined, has three pieces of boning at center front, pleating around arm holes and at center front, drop sleeve, and hook and eye center back closure. Full skirt is unlined, has center back pleating, and hook and eye closure. 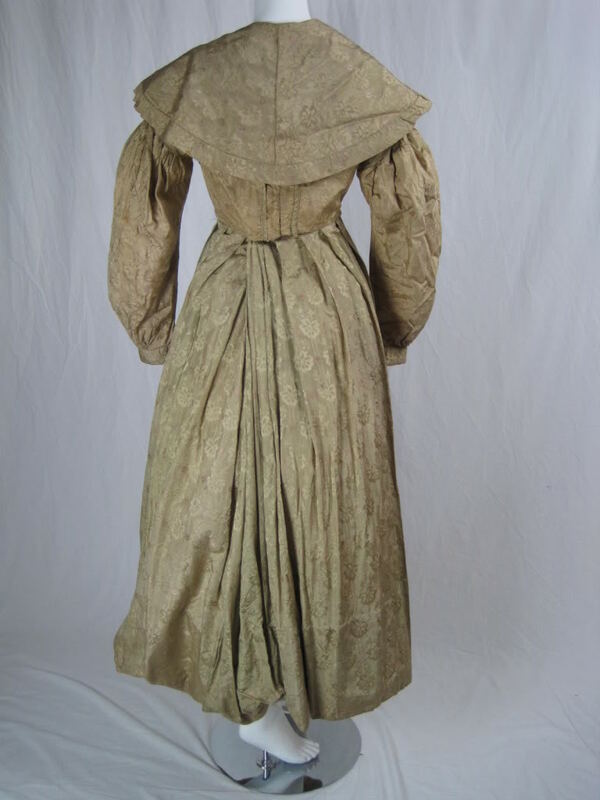 Lined fichu is crescent shaped. 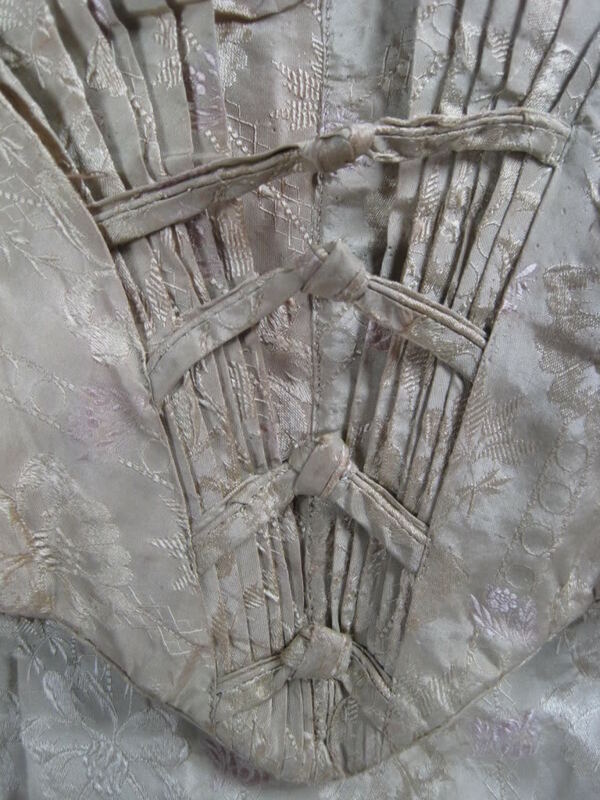 Bodice is short-waisted. VINTAGE CONDITION: Good with small moth holes throughout. 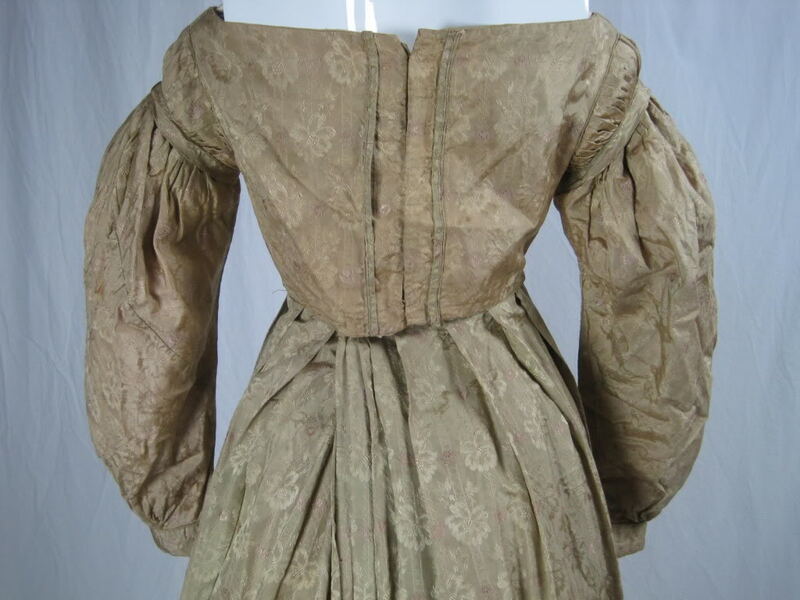 Staining throughout bodice, especially at underarms. Hem in skirt needs to be repaired along with small area where skirt has become detached from waistband. Further photographs available upon request. 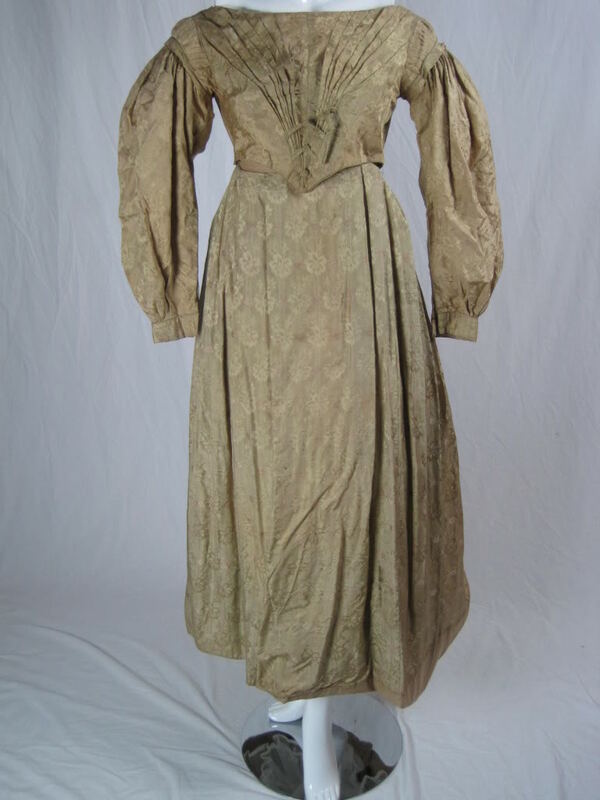 I think this is actually an 1830's dress redone in the 1840's. 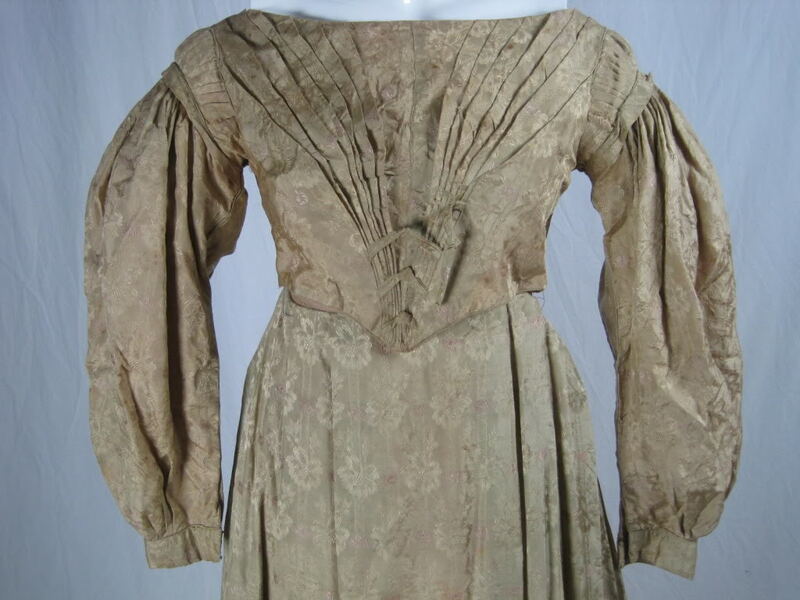 Or it was done around the late 1830's/early 1840's. This gold shade seems to have been popular during this time since it keeps popping up in various gowns of that age.